KARACHI: ‘Bin Roye’ star Armeena Rana Khan has announced that she will next been seen in a “complex love story” called Aye Dil Zara Sambhal. But where has she been all this time? Her hiatus came to an end when director Barkat Siddiqui approached her for the female lead in his TV drama Aye Dil Zara Sambhal. Aye Dil Zara Sambhal has been written by Abdul Khaliq (Zindagi Kitni Haseen Hai) and co-produced by director Barkat Siddiqui and Zaheer Razzaq Sheikh. 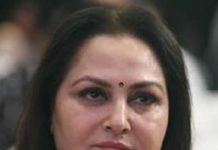 The rest of the cast is yet to be finalised, according to Armeena. The drama’s channel or launch date is not yet known. Meanwhile, according to Express Tribune, Armeena Rana Khan is not one to shy away from trouble, especially of it involves issues such as cyber bullying. Just recently, the Janaanstarlet called out a guy who abused her on Twitterby sharing screenshots of his tweets. “So I’m attaching the tweets because such persons should be exposed for being a menace to society,” she wrote. “This man has zero respect for mothers, daughters and sisters. I ask all to refrain from such language as it is unbecoming for a Pakistani. This is not how our parents bring us up,” Armeena said. The UK-born starlet went on to add that as opposed to the hate she receives for not contributing enough to the country, she gives more to society than she takes. “And like most Pakistanis abroad, I give MORE than I take. I am a sincere person and believe in the betterment of society. Thank you and love to you guys from your brothers and sisters overseas,” she went on. “Ladies and gentleman, boys and girls: Never, EVER take bullying or abuse from anyone. All the decent people from around the world are with you,” the Bin Roye actor called out. “I want to create a safe platform for debate, exchange of ideas and freedom of speech (not to be confused with abuse) on my Twitter for all especially women,” she further said. “I’ll be seeking your feedback on some of my upcoming charity projects for a start so feel free to share ideas,” she added.